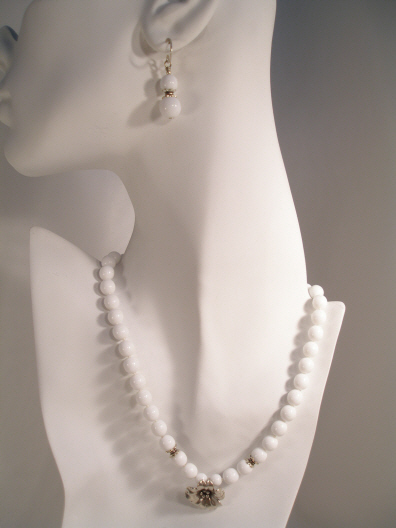 Hand knotted pure white glass with sterling silver floral accents and a beaded chain and gold filled hook closure. Adjustable from 15 inches to 17.5 inches. The 1.5 inch matching earrings have sterling silver earwires.